Most San Diegans today probably haven’t heard of Charles Wetmore. But he was a busy guy for most of his life. Born in Maine in 1847, he came to California at the age of nine with his mother, joining his father who was a pioneer developer in northern California who’d built wharves and invested in mines and railroads. 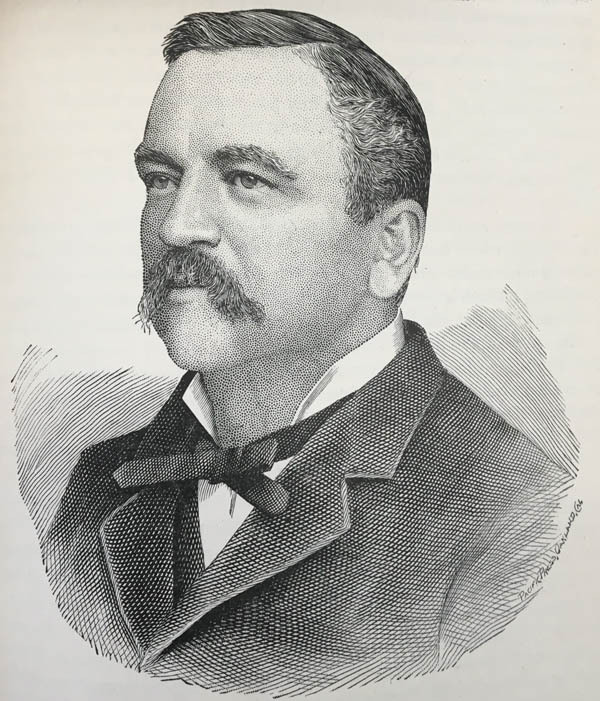 At the age of 12, Charles became co-editor of Young California, considered “the first juvenile paper on the coast,” according to a biographical sketch in the 1888 book, The City and County of San Diego Illustrated. As a young journalist and activist, he was involved in causes ranging from organizing carpenters to helping establish the University of California. Actually, he bought a portion of the then-17,000 acre rancho from James McCoy. But that was the beginning of substantial property and other business and political dealings for Charles Wetmore. The city of San Diego in 1868 was concentrated primarily in Old Town. There was not yet a wharf or a railroad. But Wetmore and others would play a role in changing that.